As reported by Variety and confirmed by her agent, Catherine E. Coulson has died. Coulson was primarily a stage actress and regularly worked behind the scenes in various films, but she was best known for playing the mysterious Log Lady, Margaret Lanterman, on David Lynch’s Twin Peaks. Coulson was an assistant director on Lynch’s Eraserhead in 1977, and the two reportedly began meditating together during filming. She also starred in and co-wrote “The Amputee,” a short film that Lynch made for the American Film Institute in 1974 while working on Eraserhead. Coulson ended up being an assistant director on that film, and during the making of it she began meditating with Lynch. As the story goes, the two of them started discussing the idea of a TV show about a woman who always carried around a log, and that concept stuck with Lynch until he started making Twin Peaks and decided to do something with the character. 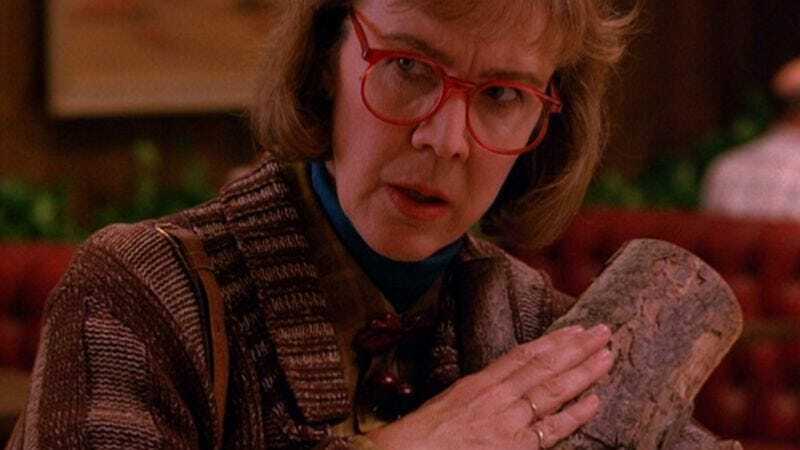 Appropriately, Lynch chose Coulson herself to play Margaret “The Log Lady” Lanterman on the Twin Peaks, and thanks to her mysterious backstory and penchant for receiving telepathic messages from the hunk of wood she carried wherever she went, The Log Lady became one of the most iconic characters on a show that was full of iconic characters. Coulson claimed, however, that Lanterman was actually the “only normal person on the show,” which is a good way to put it. Coulson briefly reprised her role as The Log Lady in Fire Walk With Me, the Twin Peaks movie, and was set to appear in Showtime’s revival. Whatever part her character would’ve played in the new Twin Peaks, though, Coulson’s absence now will certainly be felt.